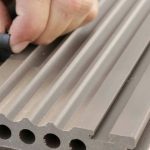 The Exterpark Invisible Fixing System is a patented invisible fixing system which is exclusive to Exterpark. 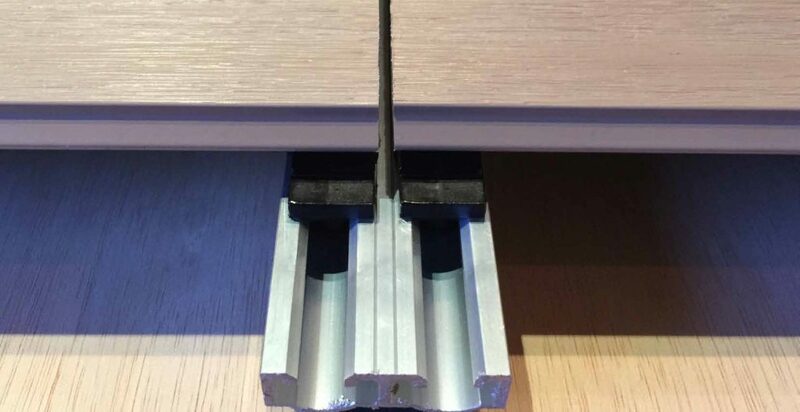 The clips have a dual function of fixing the boards and gauging separation between the slats. 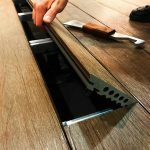 There is also the added bonus that both the clips and the screws are made of stainless steel, therefore guaranteeing durability and preventing rust. 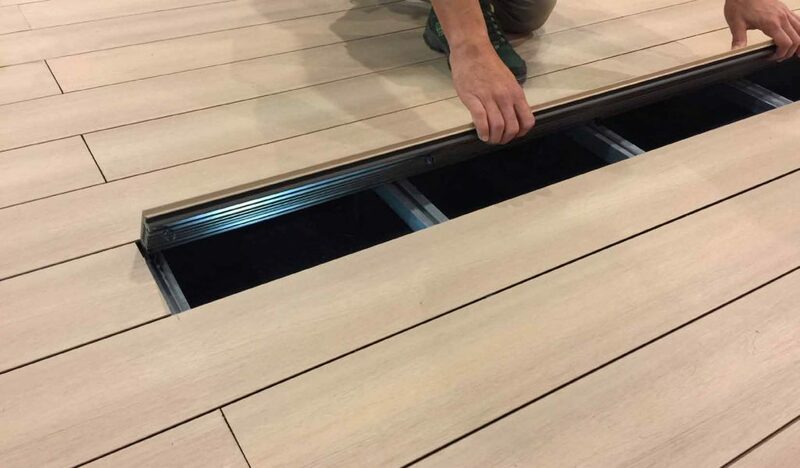 Exterpark Plus hardwood decking features solid wooden planks with a special cross-section having a brushed surface and bevelled lateral edges to facilitate underfoot comfort, even when barefoot. 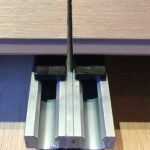 The absence of superficial fixture holes minimises the risk of splinters and fissures forming which could be potentially hazardous to users. 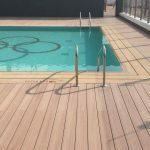 21mm, 28mm and 35mm decking board thickness from stock in many timber species - specified by you and supplied by us for some of the most beautiful decking installations in the world. 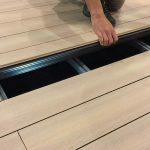 Our decking is supplied in random lengths usually from .8m to 2.8m and longer if available, in the same joist centre divisions per batch. For specific lengths you are required to detail this on your purchase order. What is the Exterpark Magnet System? 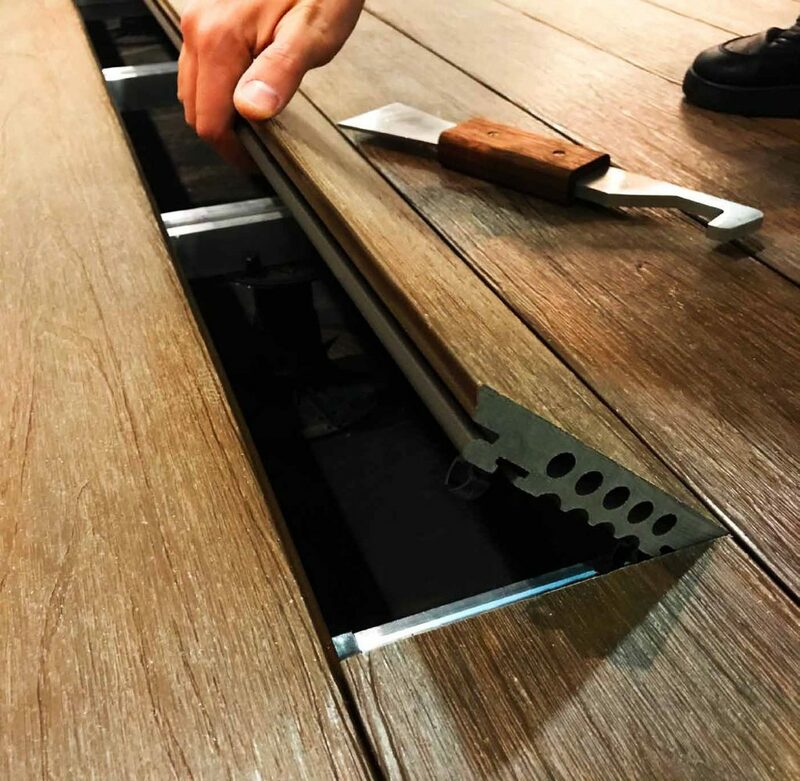 The Magnet System is an innovative decking system which has 6 essential elements combining to form the best decking in the world. Starting with a groove on the underside of every board to fit the magnet clips. Followed by aluminium joists formed perfectly to accommodate the magnet clips along with spacers to go in between each board. This gives you a 4mm gap to allow for drainage and air circulation. 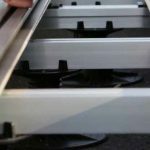 The blocking units prevent any movement along your decking; Pedestals and wedges can be used to level when needed. The Magnet clip itself is the cornerstone of the system. 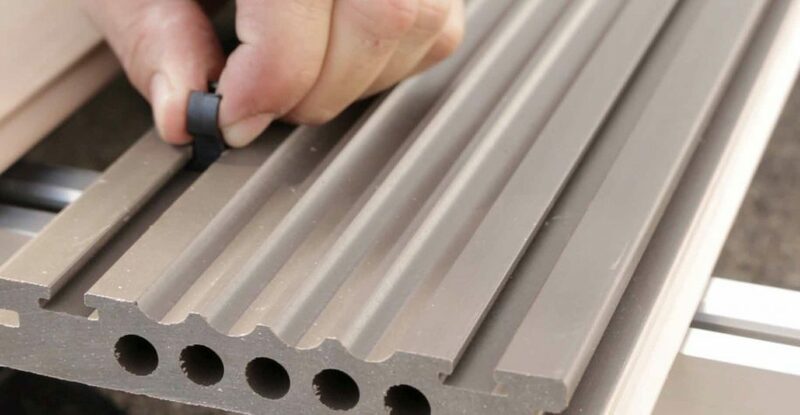 Made from POM, a high performance engineering thermoplastic, it is strong, yet flexible even in extreme conditions. This advanced mechanical locking system holds boards stronger than a screw yet has the flexibility to be quickly opened and closed if necessary. With a magnet tool, any board can be lifted in under 5 seconds. For more information about the Magnet System, download the brochure below. Our Exterpark hardwood and composite decking finishes are all available in both Plus and Magnet Profiles. 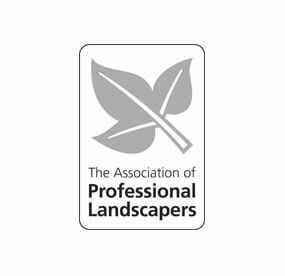 See our Accredited Partners Page.